Alexandria/Copenhagen. I strongly believe that teamwork and building trust is the corner stone for success in any organization. This is how Hazem Ragab’s sums up his belief in management on his LinkedIn profile. On Skype from Alexandria to Copenhagen, these are also the principles he stresses while talking about what he gained from studying business management in Denmark. In September 2016, it is six years ago Hazem Ragab arrived in Denmark to pursue a full time one-year MBA at Copenhagen Business School. He vividly remembers the first impressions. The city was calm and people were service oriented and friendly. But what hit me most was that the approaches to leadership were quite different from what I was used to, Hazem Ragab says. Part of the MBA program was a Leadership Discovery Process. It emphasized that effective leadership demands self-awareness and empathy. 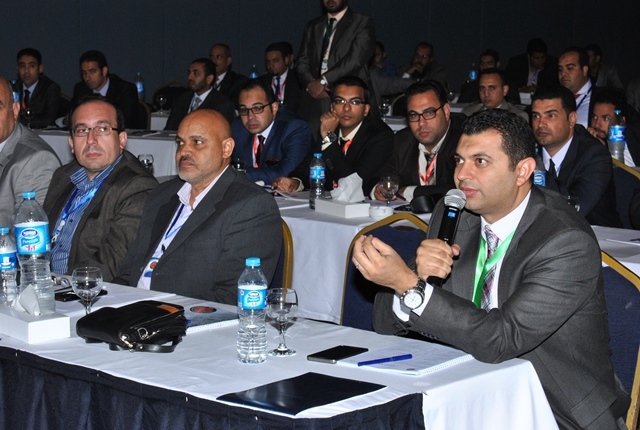 Hazem Hagab at business conference. Private photo. Hazem Ragab’s recalls how he was taken by surprise when the lecturer started the process by talking about how to manage one's own energy and control one-self. I was astonished. Every training course in leaderships that I had gone through in my country was about how to deal with other people and how to control your team. Here the emphasis was on personal insight. It was a great discovery to realize that the key to influence and lead others is self-awareness and self-management. It resonated with what I already believed in, Hazem Ragab says. When Hazem Ragab applied for the MBA he had worked at Al Ezz Dekheila Steel Co, Egypt’s largest Steel Producer for more than ten years. He thought it was time to advance his career and get closer to his dream; to eventually start his own business consultancy. He sat for the Graduate Management Admission test required to be accepted at MBA programs in Egypt and achieved top scores. All along his plan was to apply for an MBA course in Egypt. But one day an email landed in his inbox encouraging him to apply for an MBA at Copenhagen Business School in Denmark funded by the Danida Fellowship Centre. At first I thought it was a hoax. But then I got an interview with Copenhagen Business School, applied for a scholarship from Danida Fellowship Centre and was accepted, Hazem Ragab says. He pauses for a moment before he continues. The year in Denmark is one of the best years of my life, he says. Hazem Hagab with fellow MBA colleagues. Private photo. The impact Hazem Ragab made an agreement with his employer for a one year sabbatical to pursue his MBA. The condition was that he would return to Al Ezz Dekheila Steel Co on completing the MBA course and work for the company for the next five years. It was not before Hazem Ragab returned to Egypt that he fully appreciated the impact of the MBA. For the first two years I continued in my previous position as Maintenance Manager. Then I was promoted to Continuous Improvement Manager, and the year in Copenhagen started to pay off, he says. In his present position as Continuous Improvement Manager Hazem Ragab supports the top management of Al Ezz Dekheila Steel on strategic decisions. He is also part of the team that works on building a proactive culture of continuous performance improvement. 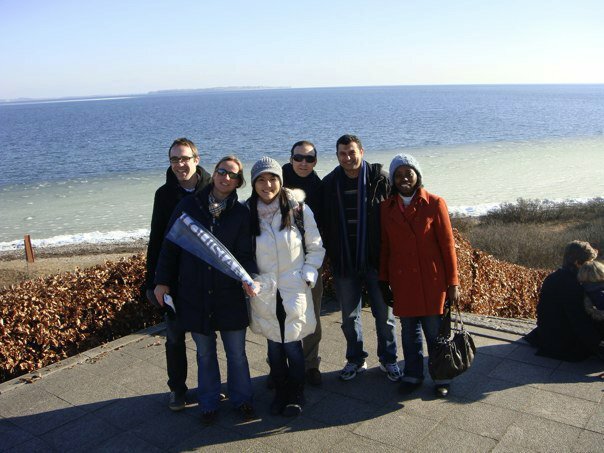 I make use of the experience from Copenhagen Business School on a regular basis. Whenever I face a challenge, I think about the positive teamwork approach that I felt was so much part of the Danish work ethic. Even if someone performs a simple task it is appreciated, he says. The course also gave him new approaches to innovative idea-development. Occasionally, the lecturers at Copenhagen Business School would ask the class to go for a walk in the park behind the school to discuss and solve an assignment. 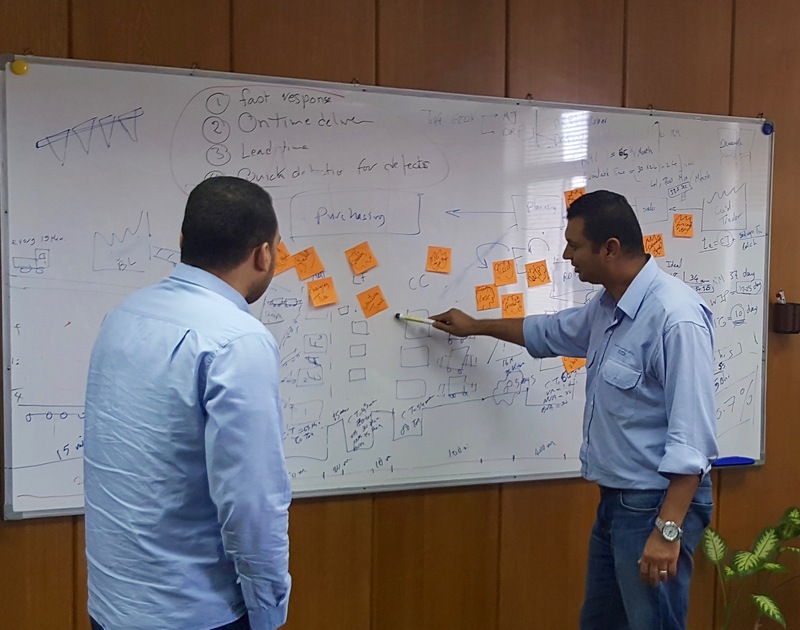 Back in Egypt, when Hazem Ragab faced a challenge on how to promote a culture of teamwork and active knowledge sharing among staff to improve performance, he opted to invite his colleagues to a similar informal creative innovation session at the plant’s playground. They couldn’t believe it. We normally work at our desks in our respective offices. Meetings are conducted at the meeting rooms. To leave the office space for an internal assignment is unheard of, but it paid off. We invented a simple approach where colleagues are complimented with a small gift for new ideas, which actively promote performance and knowledge sharing, Hazem Ragab. The result is that everyone is less shy to share his or her respective challenges or mistakes. They understand that only by sharing their experiences – the good and the bad - progress can take place, Hazem Ragab explains. Hazem Ragab is proud to see that the teamwork spirit at the plant is improving while recognizing another learning from Copenhagen Business School; that the organisational mind-set is the hardest to change even though its for positive change and the good of everyone. Changing the organization culture is an art in itself, but bit by bit, we are getting there, Hazem Ragab says. He adds that if there is one thing that he learned from the MBA studies, it is that applying change is not something one learns how to master during one course regardless how comprehensive it is. Management is a matter of lifelong learning, he says. The interview with Hazem Ragab takes place in the early evening hours. Throughout the Skype conversation we can both hear the humming buzz of both cities including the southing sound of children’s voices while they play before bedtime. All of a sudden the sound of an ambulance that passes through the streets of Alexandria interrupts the flow of the conversation and forces us to pause for a few seconds. When the ambulance siren fades away I ask Hazem Ragab what his next professional steps are? The business climate is slowly picking up after the revolution in 2011. Eventually, I will start my own business consultancy. But there is no rush, I still have a lot to learn and the timing has to be right, says Hazem Ragab. Leadership is about self-awareness and emotional intelligence, says Hazem Ragab. Private photo. He believes that the MBA from Copenhagen gives him an advantage to assist multi-national companies that want to invest in Egypt. During my MBA course I had a chance to interact with colleagues from all over the world, and I got another view of how businesses are run in different countries. Based on my international MBA and Egyptian management experience, I hope I can eventually help foreign companies that wish to collaborate with Egypt, says Hazem Ragab.